Maternity clothes: This, or Nick's clothes. Sleep: Lovin' every minute of it. Best moment this week: Friday at 5:00. I'm just so not into work. Food cravings: Mac & cheese, pickles, and butter. Butter! I know! But I can't resist making toast or a bagel and LOADING that bad boy up with butter. What I miss: Having more than 4 options of outfits for work to choose from. What I am looking forward to: When Nick can feel the kicks too. Milestones: I think I started getting Braxton Hicks contractions today. Them shits hurt. Maternity clothes: Say hello to the FULL BELLY coverage pants. Like buttah. 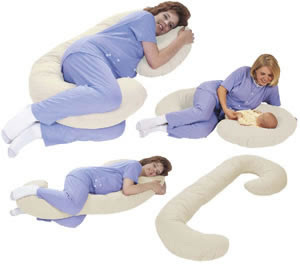 Sleep: OMG Snoogle pillow = Best. Sleep. Ever. Best moment this week: My doctor's appt. First the nurse tells me I haven't gained ANY weight this past month. Then, as we're listening to the heartbeat, I hear: whoosh whoosh whoosh whoosh whoosh THUD whoosh whoosh. The nurse says "I heard a kick..." I say, "That IS what that was feeling! I didn't know for sure!" Movement: YAY! Thanks for kicking the microphone, sweet pea! Food cravings/aversions: STILL with the chicken pot pies. Also mac & cheese, and pickles. Fried pickles... Yum. Gender: GAH I don't know. What I miss: NOT being treated like a human incubator. I was acutally called "the oven". What I am looking forward to: Kicks vs. flutters. I'm sure I will regret saying this. What I have learned: Lesson not completely learned yet, but I'm trying to get better at letting people's stupid comments roll off my back.